Minneapolis House Painters offers interior painting, exterior painting, and finishing for both residential and commercial projects. 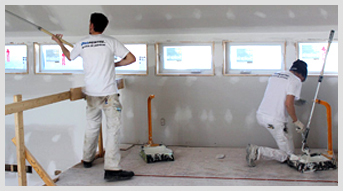 Established in 2008, we have been providing quality painting service in the Twin Cities for over 10 years. Our work is guaranteed of one year and if any problems within one year from we will come back to fix it for free. No matter how small or large the work is, our attention to detail is what makes our painters exceptional. The quality of our work is guaranteed for one year and if any problem arises we will fix it at no cost. We offer competive prices for our services with out cutting corners or loss of quality.